Porsche Motorsport Asia Pacific customer teams enjoyed a competitive weekend in the China GT Championship’s Beijing round, with Team JRM scoring an overall podium, alongside two further class podiums apiece for R+ Racing’s GT3 and GTC entries. Qualifying on the 2.4km Goldenport Park Circuit saw the #911 Team JRM Porsche 911 GT3 R of Chris van der Drift and Li Chao take third position in the GT3 class. In the GTC category, R+ Racing’s #307 Porsche 911 GT3 Cup car, driven by Wang Tao and Zhang Dasheng, would also line-up third in class for the weekend’s first race. 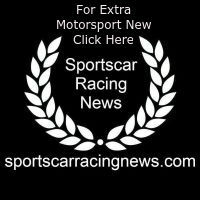 R+ Racing’s brand new, 2018-spec #777 Porsche 911 GT3 R, which was making its series debut in the hands of Pan Chao and Li Jiaqi, would start from the back of the grid after missing qualifying. In the early stages of the opening race, AM Gold driver Li Chao showed great pace in changeable conditions to hand the car over to Chris Van der Drift in second place overall. Following the intervention of the safety car, the New Zealander made his move for the overall lead, building a comfortable margin by the finish. Unfortunately, a pit-stop infringement for the duo saw the addition of a time-penalty, dropping them to third. Despite having not raced the GT3-spec Porsche before this weekend, Pan Chao and team-mate Li Jiaqi made up ground, and were able to secure a second-place finish in the AM/AM class for the #777 entry. R+ Racing’s #307 GTC car also scored a podium, with a runners-up finish in the GTC category. Starting race two from third, Li Chao maintained his position in the opening laps in the #911, before the Chinese driver was forced to retire, after a spin left the car stranded on the waterlogged infield of the track. Li Jiaqi started the #777 car, running in fourth in GT3 and second in the AM/AM category early on. At the halfway stage, the Chinese driver handed the car over to Pan Chao, who continued to show impressive pace on his GT3 debut, the team’s efforts rewarded with another podium in class. In the GTC class, Wang Tao got the R+ Racing’s #307 Porsche 911 GT3 Cup race underway, continuing to show impressive form, running in the top three. 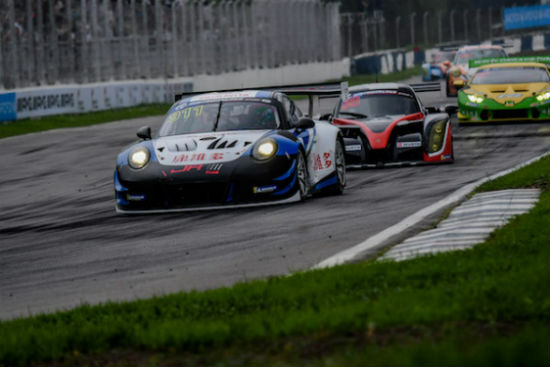 After handing the car over to Dasheng at half distance, the former Carrera Cup Asia racer fought valiantly to bring the car home for its fourth podium finish of the season.